One of my enduring indulgences is to get up early on Sunday morning and read the New York Times. It seems almost sinful for a Sunday. That’s because its now the only print publication I read with any frequency. My magazine subscriptions have now all expired and I have no plans to renew them. And why should I? Between my social network peeps, curation tools like Feedly and Google News and all the free stuff out there…I can’t keep-up with all the great content (be it digital or print or broadcast) being created even if its relevant and delivered to my phone, desktop or front door. My FOMO – Fear of Missing Out – alarms are blaring as a result. 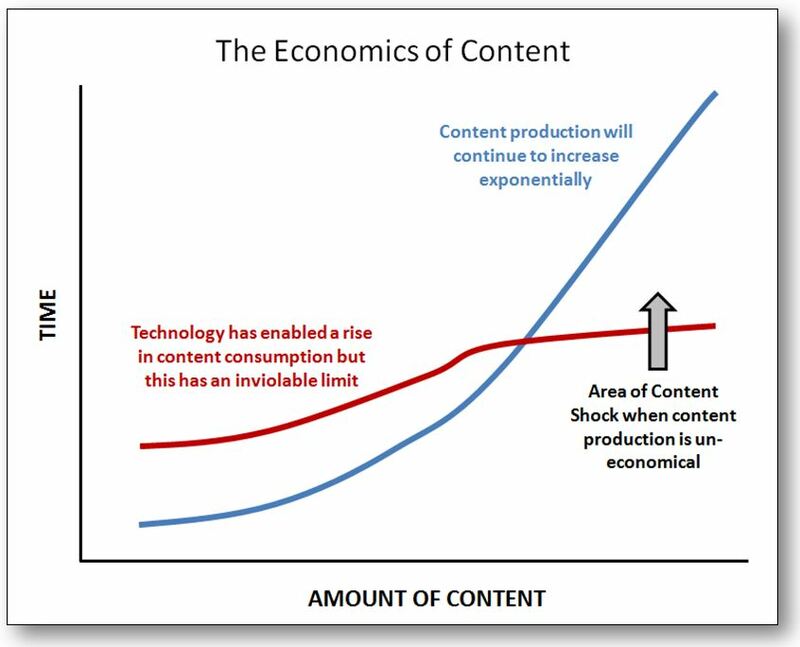 Recently I read a great blog posting by Mark Schaefer that called this phenomenon “Content Shock”. He went on in the posting to describe its implications in business models and industries everywhere. That it took almost six months for me to put my eyeballs on the article is validation of its premise. In short, Schaefer offers that our collective ability to create and distribute content has far surpassed our ability to consume it. And that gap is going to continue to widen forcing marketers everywhere to consider what they have to do to with their brainchild content strategies to get anyone’s attention when they are competing with the likes of PSY, TMZ, Buzzfeed, your kids’ math teacher and even your dentist — all of whom are producing content and delivering it 24/7 to any digital device they can gain access to. In response, some advertisers have adopted a “resistance is futile” approach as a result and are now flocking to something called “native advertising”. NA is basically a strategic paid message placement cleverly “engineered” into the native content making it appear as if its not an ad placement at all but part of the overall content experience with the same tone and feel. Weren’t these once called “advertorials”? John Oliver on Last Week Tonite does an amazing summary of what its all about: Roger Daltrey’s vocals on Won’t Get Fooled Again would have been a nice close to the piece. So what does this all mean for destination marketers who have begun to mercifully ditch traditional media placement advertising (even USA Today’s owner Gannett has seen the writing on the wall and has spun-off its print publications into a separate company, presumably to rot) and are now aggressively developing and activating their own content strategies to support their brand and business? (1) Be Committed: Build a team (can be permanent or partner-networked) with the competencies and mandate to make your content strategy deliver results. Make content development part of the organizational DNA. This means understanding the science of getting visibility (e.g. Facebook and Google search algorithms), having access to the necessary production resources (e.g. video, infographic design) and of course, having great communicators/story-tellers on the Team. The money you’re saving by no longer advertising in the USA Today can more than cover the required investment. (3) Be Engaging: Content marketing is not a seasonal sales campaign or something that gets activated in advance of the opening of a new destination venue or attraction. 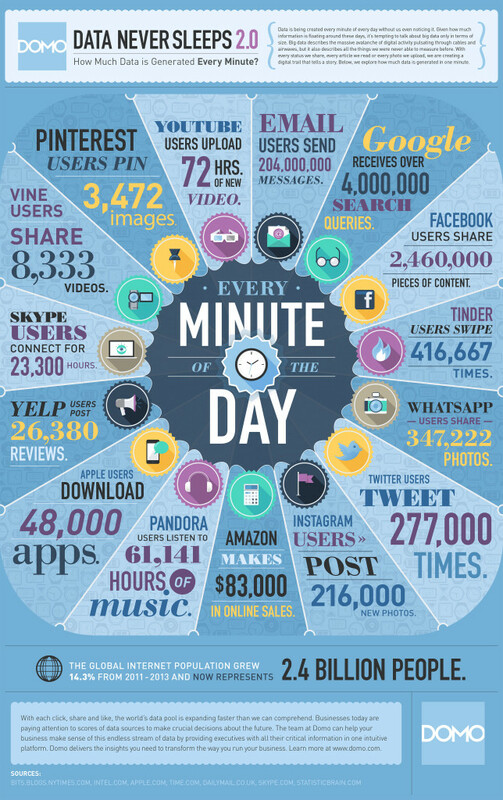 Its ongoing and needs to be thought of as a core engagement element as much as sales. I did a random check of about 15 DMO websites and found that over half had blogs – the first-stop for any DMO content strategy. Sadly…most were sales pitches or special offers and were linked to the destination’s social media activities almost like an email attachment. Effective content marketing is not about sales. Its about engagement. THEIR engagement. And if all you are doing is broadcasting offers then you are wasting your time and money. (In the blog that I felt was the least sales pitch-oriented someone posted a comment that it was the best blog on the destination they had seen.) Surviving content shock is about providing real value to your audience, be it intellectual or emotional. Providing remarkable and relevant content value creates loyalty. And loyalty drives…sales! Gary Vaynerchuk provides a great roadmap with how-to and how-not-to examples in his book Jab, Jab, Jab, Right Hook. This should be required reading for every destination marketer. Content shock means that destination marketers are in the battle of their lives for attention, not just with other competitors but with the global content machine. Time to suit up. Great stuff, as usual Bruce. Thought provoking while practical. Keep it up! #4 Be Relevant. This goes beyond your content, but as a DMO we must be working with the public and private community to help them develop product (events, services etc) that are relevant to the modern traveler. We can be very creative but if the visitor is bored or having a bad experience in our destination, that will ultimately float to the top. As a DMO we must keep our foot on the pedal and push our tourism community to be the best that they can be. Great article, thanks for making us think! Jeez, Bruce, you’re churning them out these days! I can’t keep up with you – content overload!!! Seriously, though, another great piece of thought leadership that needs an audience amongst the hallowed halls of congress or wherever decisions are made on the allocation of funds for destination marketing projects. What Pat and I are realising quickly is that it’s not about the DMO guys that talk to us, it’s about the elusive bureaucrats who sign off the funding to them and that, as we all know, it’s so often a matter of political expediency. And then I stray into “House of Cards” territory and get afraid. Very Afraid! Thanks Padraic for the key point about “the Awe”. Its indeed pretty scary when a news search of “tourism marketing” stories turns up items about local government tourism grants to spelling bees and pie-eating contests or to sketchy publications based in the Philippines. Great article. Certainly relevant on the other side of the world as well. Out of the 15 locations and only half using blogging did you happen to notice what they are doing with there social channels as well? What i am seeing is constantly DMOs using these as sales tools rather than as you rightly point out communication tools. There is a constant question on how DMOs can utilize there Visitor Services team or Visitor Information Centres (VIC) yet what you have identified as what DMOs need to be doing: committed and engaging. These two principles are innate in everything a VIC stands for. An organization to be confident enough to be remarkable is up to itself. But this leads to the utilization of VICs into the modern mix. VICs can continue to capture the visitors needs and wants. Handing on reliable, engaging, unique and special content. And in turn increase yield to the destination. Everything old is new again!!! Good thoughts Tim… Many of the 15 DMO blogsites I looked at did indeed use them for “sales over story”. When the average person is bombarded with some 174 newspapers worth of information every day (2011), trying to push a deal/sale on a traveler is increasingly an exercise in futility. Coincidentally the New York Times published a story this weekend (its why I read it on Sunday) entitled Hit the Reset button on Your Brain (http://mobile.nytimes.com/2014/08/10/opinion/sunday/hit-the-reset-button-in-your-brain.html?_r=2) citing the sheer magnitude of content shock and how individuals can cope. Worth a read.